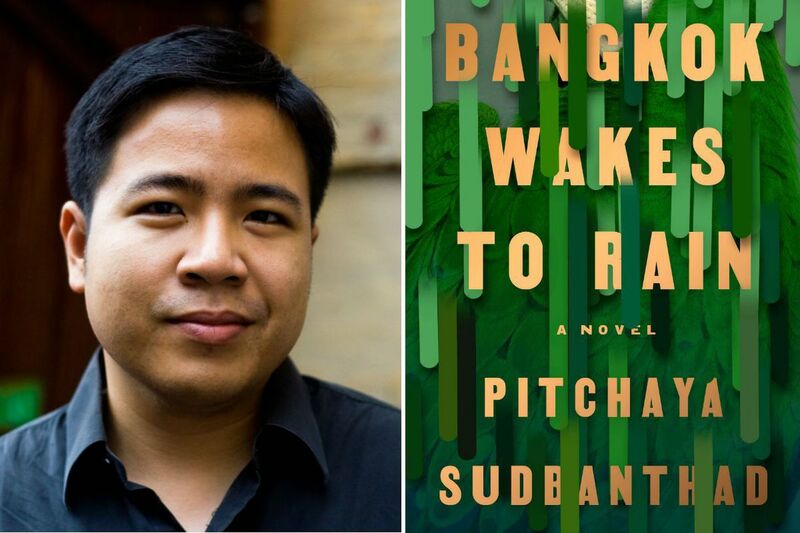 Pitchaya Sudbanthad, author of "Bangkok Wakes to Rain." Sometimes a novel draws us in because it strikes a chord from our own experience, because we identify with its characters or have lived in its setting and feel at home in its story. Other novels do the opposite, transporting us to a place or time wholly unfamiliar and for that reason fascinating. Bangkok Wakes to Rain, the stunning debut novel by Pitchaya Sudbanthad, was, for me, the latter kind of book, one that creates a world so rich and alive I wanted to swim in it. It’s a book filled with water, thanks to Bangkok’s climate and geography and, perhaps, its coming fate. The novel’s structure could be modeled on a watershed, separate streams of story feeding into one another until they become a river that flows across more than a century and the lives of many characters. The novel at first seems like a collection of linked short stories, with characters who appear to be connected only by the city. Many of them live, in various eras, in a house built more than a century ago as a merchant’s mansion. As the novel moves into the present and then several decades into the future, the site will be overtaken by a condominium building that preserves the house’s facade in its lobby, an architectural ghost of the past in a modern metropolis. Bangkok Wakes to Rain is itself a sort of house of ghosts and those haunted by them, in a cycle of vivid life and aching loss. Sudbanthad writes, "The forgotten return again and again, as new names and faces, and again this city makes new ghosts." If any one story dominates the book, it’s that of a woman named Nee. We meet her in the early 1970s, a time of political upheaval under the rule of a brutal dictator. Then a young nursing student, she falls in love with another student, Siripohng. In one of the book’s most moving chapters, the arc of their courtship shimmers to life and ends in tragedy. When the military attacks hundreds of thousands of demonstrating students with bombs and gunfire, Nee survives by plunging into Chao Phraya, the river that runs through Bangkok. She will surface in many other chapters, her life taking surprising turns. Near the novel’s end, Sudbanthad moves several decades into the future. A preservationist named Woon works in a building that “floats ten kilometers west of his neighborhood, anchored to a network of piers in the newly formed sea.” His work is the rescue of artifacts from places now submerged by rising oceans, everything from stone lions and golden Buddhas to “letters from the dead to the long forgotten.” Each one is “blipped” by technology that preserves its three-dimensional image so it will live on digitally even if the object is destroyed. Such "capture" is also used on a much larger scale. Woon’s mother, in her 70s and in failing health, uses the technology to visit a relative, both of them transported to the condominium built around the old house. It’s re-created for them in every detail — right down to one of its ghosts — out of the technologically harvested memories of countless other inhabitants. Like the technology Sudbanthad imagines, this novel beautifully brings a place and its people alive. This review originally appeared in the Tampa Bay Times .